This novel takes its name from its setting: a beautiful stretch of Tasmania’s east coast which does exist in the real world, though here it is given a village, a shop and a camp ground which do not. The spot forms the backdrop for a group of holiday shacks which have been used by the same families for years. Last summer a local teenage girl went missing and hasn’t been seen since, now the body of a young European tourist has been found. And the question on everyone’s mind…is one of them responsible? My family used to holiday in the same beachside location every summer so I immediately felt a connection to BAY OF FIRES. I even recognised a lot of the just-beneath-the-surface discords on display amongst the regular visitors. Gee does a good job of showing both the monotony and the comfort offered by this sort of set-up and provides two key characters to show the reader what’s really going on in this community. Sarah Avery offers the insider’s perspective. She is the eldest daughter of one of the regular families and is a somewhat reluctant participant in this year’s holiday, partly because she is coming to grips with some troubles in her personal life. She’s staying with her parents and younger sister. Hall Flynn, a journalist for a Launceston newspaper who has been assigned to cover the story, provides the outsider’s point of view. He takes a room at the guest house at which the girl whose body has been found was staying. Between them, these two piece together the story of what has happened to the two girls, Sarah using her knowledge of the regulars and Hall using his observational skills and ability to ease himself into local events without causing too many ripples. BAY OF FIRES succeeds as a work of observation about a small community that appears to be close-knit on the surface. The death and disappearance – and the almost total lack of formal progress on either case – highlight all the personality clashes and not-so-petty differences of opinion that have been lying dormant for years. People’s fears lead to finger pointing, attempts at vigilante justice and plain meanness and I found this element of the book – a kind of character study en masse – quite enthralling. As a work of crime fiction I thought it a little less successful, with the resolution being somewhat obvious and the lack of police presence and progress not being explained terribly satisfactorily. That said, I did appreciate the crime’s unconventional resolution as it seemed to be in keeping with the world Gee had depicted. Overall this début novel has much to commend it and I will certainly be on the lookout for more of Gee’s writing. In BAY OF FIRES she has demonstrated a flair for depicting evocative settings and the personality shifts that happen to average people when unexpectedly terrible things happen around them. 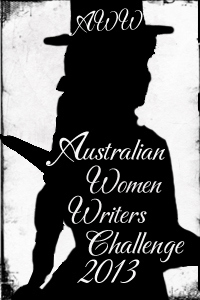 BAY OF FIRES is the 14th book I’ve read as part of this year’s Australian Women Writers Challenge. Kerrie’s review of BAY OF FIRES from earlier this year. Deep in a national park on the east coast of Tasmania, the Bay of Fires is an idyllic holiday community. There are no more than a dozen shacks beside the lagoon – and secrets are hard to keep; the intimacy of other people’s lives is their nourishment. investigate, and all too quickly the close-knit community turns in on itself. The idyllic holiday community at the Bay of Fires has been meeting each summer for years. But things change, children grow up, parents get older, and at the core of what seems like paradise, decay grows. It takes Hall Flynn’s outsider’s eye to pick some of the fragility. Deep in the national park on the east coast of Tasmania, three or four hours by car from Launceston, Bay of Fires is sufficiently isolated to make communications slow. The novel is set over the Christmas Day to New Year’s Day holidays. This time the dead person is an outsider, a backpacker, and no-one is willing to put everything together. The shack owners don’t reveal all they know. Just twelve months earlier one of their own children disappeared without trace and the sea conveniently bore the blame for that too. Poppy Gee does a clever job of weaving sub-plots, such as why Sarah Avery has come home and why Hall Flynn is not romantically attached, in with the main mystery of what happened to the backpacker. The tension between the shack owners and the incoming campers is well depicted, as is the willingness to blame a local resident who is not “normal”. Investigating the backpacker’s death is carried out by Sarah and Hall, sometimes together, sometimes independently. The setting almost plays the role of another character and certainly sent me off researching. This was an engaging and refreshing read, another new author to watch. Tasmanian ski village Ben Lomond.